MAIN DEPARTMENTS: General Medicine, Gynecology/Maternity, Infectious Diseases, ENT, Obstetrics, Psychiatrics, Neurology, Pneumology, Oncology, Urology, ICU, Ophthalmology, Stomatology, Emergency, and Surgery. REQUIREMENTS: Interns must have completed at least 3 years of medical related studies or training. 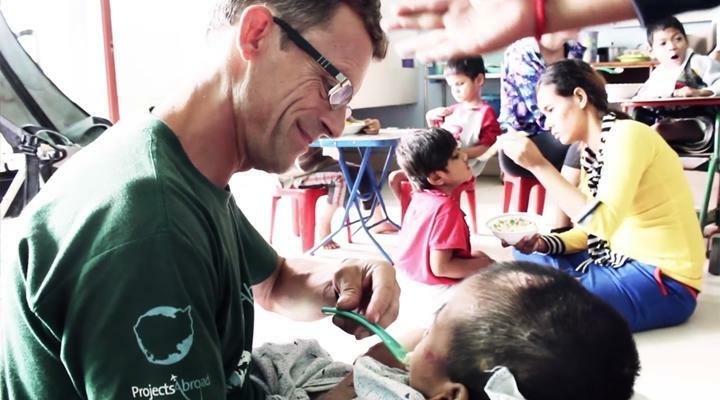 Interning in Cambodia on a medical internship with Projects Abroad is an excellent way to become involved in some of the poorest medical institutions in the developing world. 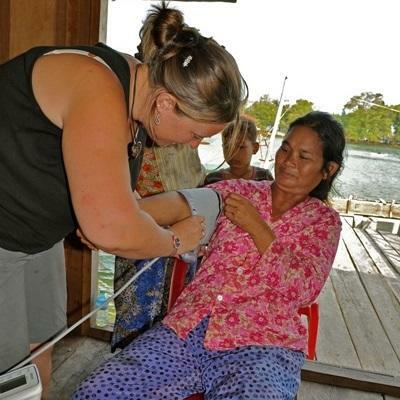 As a medical intern in Cambodia, you will have the opportunity to observe medical work in a variety of departments. Medicine interns in Cambodia work in Phnom Penh in a large state hospital. The state hospital originally opened in 1960. It was forced to close for five years during the Pol Pot regime from 1975 to 1980 and sadly, during this time, many doctors and educated medical professionals were killed. Since its reopening, the state hospital has become the largest medical facility in Phnom Penh and admits over 17,000 patients annually. The hospital employs 140 doctors and almost 200 nurses. Medicine interns in Cambodia must have completed at least three years of medical school by the time they join this project. Each internship is tailored to your level of experience and interests. You will could experience a wide variety of departments, such as General Medicine, Gynecology/Maternity, Infectious Diseases, ENT, Obstetrics, Psychiatrics, Neurology, Pneumology, Oncology, Urology, ICU, Ophthalmology, Stomatology, Emergency, and Surgery. The hospital staff request that you spend a minimum of two weeks in each department. Your supervisor at the hospital, the Director General, will then assign you to work with the specialist doctors within the different departments. We will do our best to place you according to your preferences, but cannot guarantee every department will be available all of the time. Your role at the hospital will vary depending on your education and experience level. Usually, you will shadow the local staff upon arrival before switching departments. If you show enthusiasm and develop a good relationship with the medical staff, you may find that you gain enough trust to be given more to do. As with any job – and especially in the field of medicine - you must prove yourself to be trustworthy before you are given responsibilities. You can read more detailed information about the aims of the project in our Cambodia Medicine & Healthcare Management Plan. The hospital’s facilities are basic and the treatment standards will probably be different from what you are used to. You should be prepared to see some shocking cases and try not to get emotionally involved with the patients. Normal working hours are from Monday to Friday from 8am to 12pm. Volunteers do not work at the hospitals in the afternoons or evenings, as many of the doctors do not work during that time. It is sometimes possible to arrange extra hours from 2pm to 5pm to help the nurses or do additional work with patients. Interns who want to work longer hours can also request to work with the Public Health Project on some afternoons. This is a great opportunity to experience the diversity of health care available in Cambodia. Many of the doctors speak French rather than English, so if you speak some French it will be useful. In some departments there are staff who speak a little English or from time to time there may also be local medical interns who can also communicate in English. Medicine interns in Cambodia stay in one of the Projects Abroad apartments in Phnom Penh. You can spend your free time with our Projects Abroad volunteer community exploring what Cambodia’s capital city and the surrounding areas have to offer. While you’re in Cambodia, you might also consider joining a 1 week Culture & Community Project. For more information, please visit our Khmer Project in Cambodia. Our Combinations Page explains how you can combine not only projects, but also destinations.